It was a little surprising this week (6/17/13) to read the insight of the Wall Street Journal’s Affordable Care Act panel of experts. The WSJ posed this question “We’ve reported that some retailers and restaurant operators are hiring more part-time workers, or limiting part-timers to 29 hours per week, to avoid the insurance mandate. How prevalent will these sorts of changes be?” None of the three panelist indicated that they understood the actual methodology that the IRS will use to define part-time employees. The law does define a full time employee as one that averages 30 hours, but there is more to the definition. David Marini, the managing director of strategic advisory services at ADP stated “there are organizations that are looking to limit the number of hours to below 30”. Christine Eibner, an economist at RAND Corporation acknowledged “firms do make these types of structural changes to avoid requirements such as mandates”. Kevin Kuhlman, a manager of legislative affairs at the National Federation of Independent Business said “we hear from members taking steps to reduce employee hours” and his solution was to increase the threshold above 30 hours per week. Proper timing can keep the “C” Suite out of trouble with new healthcare mandates. The sign “The Buck Stops Here” was on President Harry Truman’s desk in the Oval Office. Truman exemplified the responsibility that is on the shoulders of every corporate executive today. Know what is going on in every department of your company and take responsibility for it. The Affordable Care Act has increased the responsibility of corporate executives dramatically. Health Insurance used to be a responsibility delegated down to middle management. But health insurance is a significant part of an employee’s compensation and workforce compensation represents approximately 43% of the average corporate budget. So selection, implementation, communication and maintenance of employee benefits require proper timing and attention from the highest corporate levels. You may be familiar with the new health insurance exchanges. Currently those exchanges are just for small companies and individuals. If your company is a large employer (100 or more employees) you may think that the Affordable Care Act does not affect your company very much. Not true. All companies must meet many new requirements. 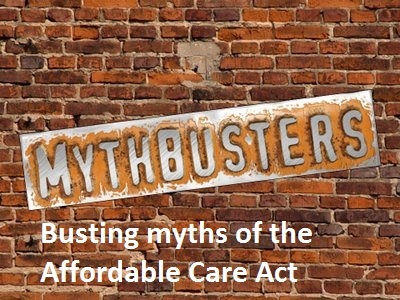 The Affordable Care Act requires that employees receive up to fourteen new notices. The first is the new Exchange Notice that employers must distribute to EVERY employee by October 1, 2013. Healthcare expenditure in the United States represents about 20% of the economy. With the government trying to control such a large part of the economy, every healthcare plan with every company will be affected. Savvy executives understand that where there is change, there is opportunity. Private enterprise has developed strategies to compete very well with the new health insurance exchanges and take advantage of the many new regulations that are part of the Affordable Care Act. Stanford University Professor of Law and Business, Daniel Kessler stated in the June 13, 2013 Wall Street Journal Op-ed “apples-to-apples assessment shows how much higher exchange-plan premiums will be”. Current trends indicate that the cost of most healthcare plans will go up in price. Self-insured healthcare plans that allow the employer to share in some of the risk and reward of insuring their group do offer a significant alternative.